a history of potentially explosive physical confrontations over all of the above, which have not all been easy or quick to defuse. For an Australian readership, a key question is what exactly are our interests in all of this, and what if anything we can do to help settle the tensions. It’s hard to disagree with Michael Wesley’s enumeration of the multiple structural and relational interests we have in keeping this part of our neighbourhood benign, though I am inclined to think that the risk to commercial sea-lanes is actually quite small given the attitudes and instincts of China and the other major players. When the US talks up, as it regularly does, the risk to freedom of navigation, its overwhelming preoccupation is, frankly, with the right to engage in military surveillance unhindered, as close inshore as it can. When it comes to what Australia can do, I have some sympathy—as you might expect given my own rather activist record on these matters—with Michael Wesley’s complaint that we may have erred in recent years on the side of caution and risk aversion. But if he is going to both charge pusillanimity and demand creativity, as he does, I think he needs to offer (and I hope he will in his extended chapter when we see it) rather more chapter and verse as to what kind of initiative might actually be productive, other than generically supporting what he describes as ‘some sort of consensual joint management regime’. A more productive approach may well be a step-by-step one, in which the first big achievement would be to get every claimant state to make its case using the concepts and legal frame of reference of UNCLOS, so that the foundations are then laid for formal adjudication of competing claims, or—more likely—agreements to be reached, bilaterally or trilaterally as necessary, for resource sharing in areas the subject of continued formal dispute (along the lines that Australia negotiated with Indonesia over the Timor Gap). 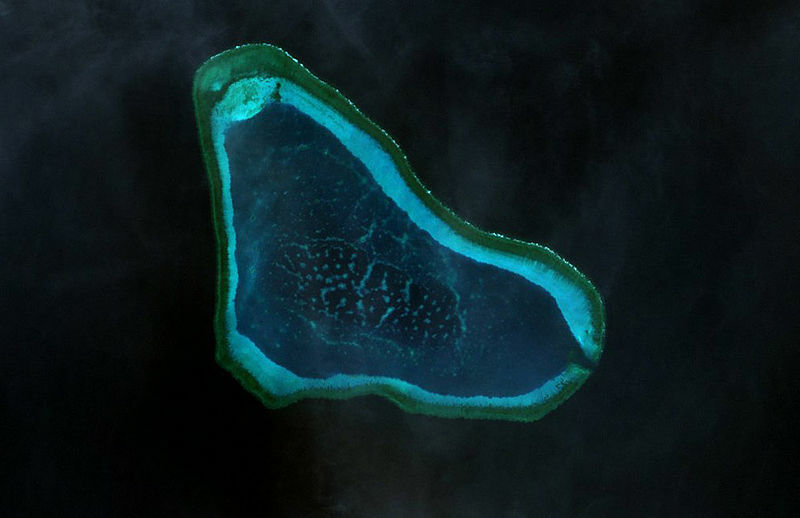 The crucial need in this context is for China to set aside once and for all the U-shaped ‘nine-dashed line’, embracing roughly 80% of the whole area of the South China Sea, which it inherited from the Kuomintang and has been using since 1948 to define its interests in the Sea, refusing ever to say clearly whether this line constitutes a claim to the whole area in question (which would be totally indefensible in any court of law or of global or regional opinion), or whether rather it is a way of claiming sovereignty over all the islands and other features within the nine-dashed line that are claimable, and the maritime rights which go with them (which would at least be a start in moving toward a more comprehensible and defensible position). If China is going to move down that path it is going to have to be as a result of sustained and relentless international pressure, making clear over and again that nobody that matters in the international community takes seriously the nine-dashed line, and the ‘historic waters’ concept that seems to lie behind it, as having any credibility, and that continued insistence on it is reinforcing the impression that China is an expansionist territorial power, despite all its insistence to the contrary, not content to operate within the constraints of a rule-based international order. And I certainly believe that Australia should be firmly among the countries applying that pressure, by making such statements both privately and publicly. I for one have been urging Chinese colleagues and counterparts in every meeting or forum where the opportunity has arisen—including in the major second-track Australia-China Forum, of which I was the Australian Chair, in Beijing last November—to make a credible claim under UNCLOS, and to then use that as a foundation for negotiating joint development programs (which China has long been saying it is willing to do) where credible claims overlap. I have been pleasantly surprised by the extent to which my blandishments seem to have been taken on board, without any seriously hostile response. Maybe that’s because there is no longer the belief there once might have been (and I’ve been hearing this from a knowledgeable source or two recently) in the South China Seas as a hydrocarbon repository rivalling those of Saudi Arabia and the Gulf; or maybe, as I’d prefer to think, it’s because senior Chinese are becoming more conscious of the soft power, reputational, implications of these issues. My optimism in this respect might be misplaced, but my sense has been that cooler heads—including the foreign ministry’s international lawyers—are likely to ultimately prevail on this, and that if overt provocations from other claimants (of a kind bound to generate reciprocal nationalist chest-beating in China) can be avoided long enough to enable the new leadership to consolidate itself, then moves by Beijing to putting its claims in more defensible terms, with all that might follow from that, are certainly possible in the near term. None of this stuff is easy to get one’s head around. Future historians may well be tempted to say of the South China Sea question what you will remember Lord Palmerston famously said of Schleswig-Holstein in the nineteenth century: ‘Only three people have ever understood it. One is dead, one went mad, and the third is me—and I’ve forgotten’. Gareth Evans is the Chancellor of the Australian National University, President Emeritus of the International Crisis Group, and was Australian Foreign Minister between 1988 and 1996. Image courtesy of Wikimedia Commons .